Welcome to Glascock County! 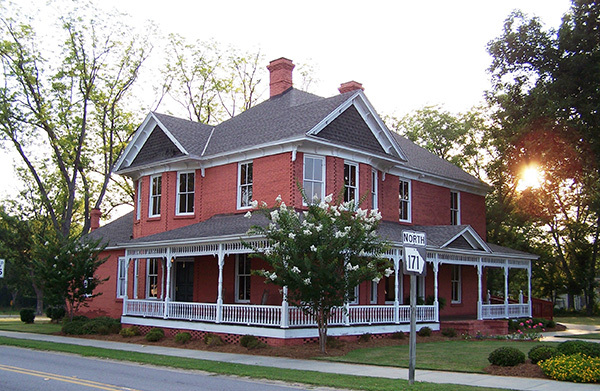 A quaint rural county located 45 miles southwest of Augusta in the east central region of Georgia. The Ogeechee River serves as it’s western boundary and a section of the eastern border is Rocky Comfort Creek. Our 144 sq. miles of gently rolling hills, forests, and crop land are rich in natural resources and wildlife. Timber, kaolin, cotton, peanuts and excellent pasture for livestock are integral to the economy of the county. Residents enjoy a quiet, close knit community, an excellent school system and an abundance of outdoor recreation opportunities. Glascock County was created from land that was previously part of Warren County by an act of the General Assembly, Glascock became Georgia’s 122 county on December 19, 1857. It was named for General Thomas Glascock (1791-1841) who fought in the War of 1812 and the Seminole War and later served in the Georgia Assembly and Congress. Before being a part of Warren County, Glascock County was included in Richmond and Burke Counties (1777-1793) known as the St. Paul Parish in the Province of Georgia (1758-1777) and as the part of the District of Augusta in the Colony of Georgia from 1732-1758. Prior to 1732, the area was roamed by the Creek and Muscogee Indians. The area’s first white settlers were German immigrants who settled near the headwaters of the Ogeechee River and formed the community known as Georgetown (near modern day Shoals). Georgetown was located on the stage route from Louisville to Sparta and served as a major shipping hub for the US Mail and freight to Lexington, Georgia. Select this link to sign-up for CodeRED Emergency Alerts. Download the CodeRED app now.